Marcus A. Gordon, MFA Digital Futures (DF) Candidate, was tasked by the Natural Sciences and Engineering Research Council of Canada (NSERC) to collaborate with Cerebral Diagnostics and OCAD University’s PHASE Lab to create 3D neural imaging geometry, which lead to the production of a digital hologram of brain activity. Marcus’ inspiration came from a desire to create physical objects from his experience with digital technology. He refers to this process as digital physicality; where objects and structures that exist within our physical world are derived by digital means. 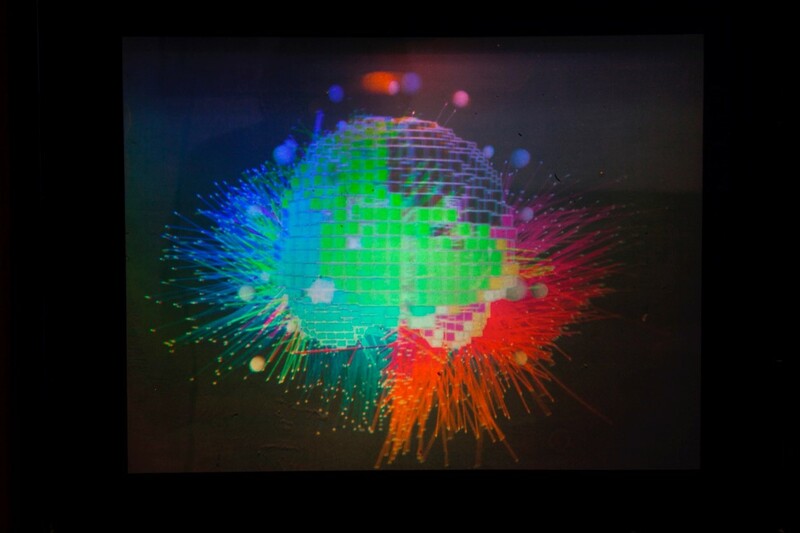 Holomentis is a sculpture representing Marcus’ interests in working with holography as a medium where digital is used in the production process. “I want to see more creations that intuitively occupy space but are driven by digital thinking. Holomentis is an example of this process, but what makes Holomentis unique, is it’s fusion of an acrylic sculpture with a digital hologram. Holomentis doesn’t require a digital technology tool for interaction, simply move around the Holomentis sculpture and experience its dimensionality,” says Marcus Gordon. Holomentis was curated by Anda Kubis. Special thanks to Michael Page, John Kuisma, Natalie Logan, Steve Richards, Ashley Snook and Claudette Abrams.